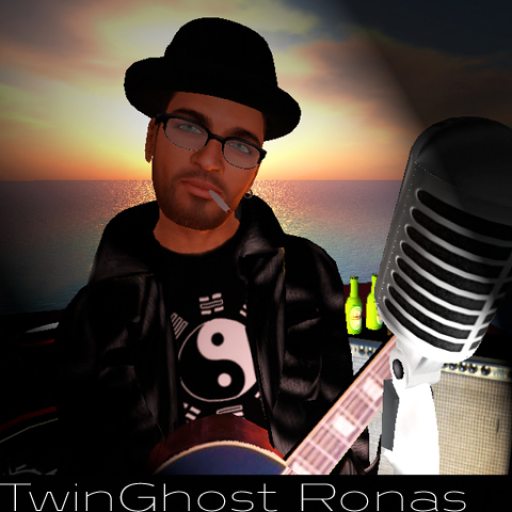 Get your ears warmed up – TwinGhost Ronas returns! – Ce Soir Arts – Be inspired tonight! Get your ears warmed up – TwinGhost Ronas returns! TwinGhost Ronas‘s music is leading-edge and so deeply satisfying that we are truly taken by it – and by the artist himself. It is our distinct pleasure to welcome him back to the Ce Soir stage. He is an outstanding musician with the chops to go in whatever direction he might choose. On his first visit to Ce Soir, he ended his set with the beautiful, mesmerising “Live Again,” one of his many outstanding original compositions. It was thrilling to experience the entire set, but this last song was a powerhouse for us, personally.We can both hear those last words… “Love…love…love…love…” echoing softly down the halls – just by thinking of that night. In his bio statement, TwinGhost tells us that he was born in the City of Brotherly Love. We have been to Philadelphia and it is a place filled with history and promise. The “rough streets” there have always been a rich ground for learning in the arts – as have the quite cultured areas. Remember the film Flashdance? (I ask, though as a dancer I will never forget it!) The film shows us images of the city as a wild mix, a place with an atmosphere that allows a bold and tender blending of influences – indeed as a place where such is encouraged. When I think of this, it seems clear to me how such could wend their way into the work of such an innovative artist as TwinGhost. He is a seasoned songwriter influenced by great singers and songwriters like Stevie Wonder, The Beatles, James Taylor and Marvin Gaye. He notes that he spent his formative years “playing everything from punk and progressive rock to reggae, funk and soul, all the while holding dear those childhood influences.” You can hear it, those fine styles echoing down the halls of a TwinGhost concert, and yet…his music is all his own. Time with TwinGhost on stage is more than memorable. His ever-deepening style is a distillation of rootsy soulful rock and pop brilliance, and his is a show you don’t want to miss. Come hear for yourself tonight at 9 PM SLT. We’ll be waiting to welcome you! Previous Feed a Smile TODAY and then…Tyrehl & Ultraviolet TOMORROW!